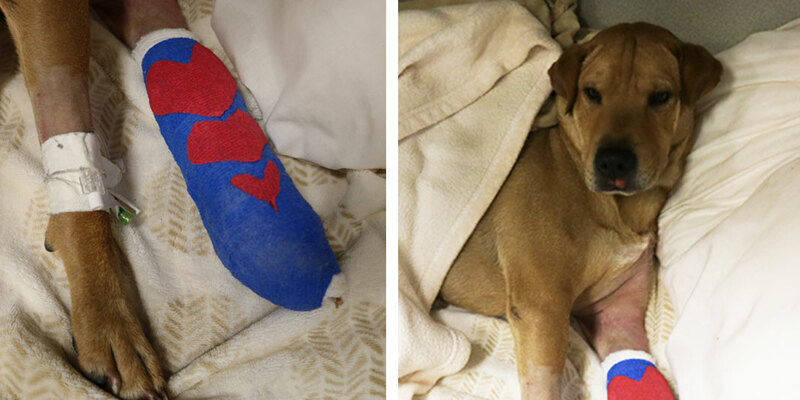 Milo is a two-year-old dog who came to ACCESS Specialty Animal Hospital with severe injuries. Milo was with a pet sitter, and just before he was about to be picked up, he went missing. Hours later, he was discovered on the roof of an apartment building next to the building where his pet sitter lives. Firefighters were able to get Milo off the roof and into the arms of his owners, who brought him to the hospital. 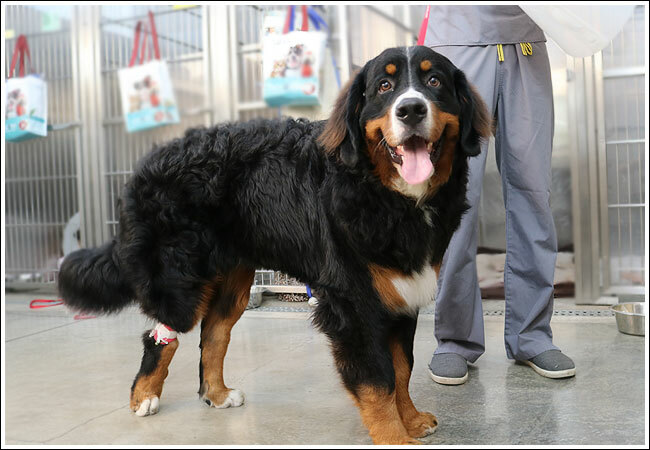 In addition to a broken metacarpal, or wrist, our doctors discovered that Milo did not have any feeling in his hind legs. His spine was broken in the middle, causing the spinal cord not to work. Dr. Laurent Guiot, a board-certified surgical specialist, performed a surgery to repair the spine and put it back into place. Dr. Guiot was able to place a plate in Milo’s spine to stabilize it, as well as repairing the injury in his wrist. Today, he rests comfortably in our ICU with pain medication after two surgeries, receiving lots of love and careful cuddles from our team. 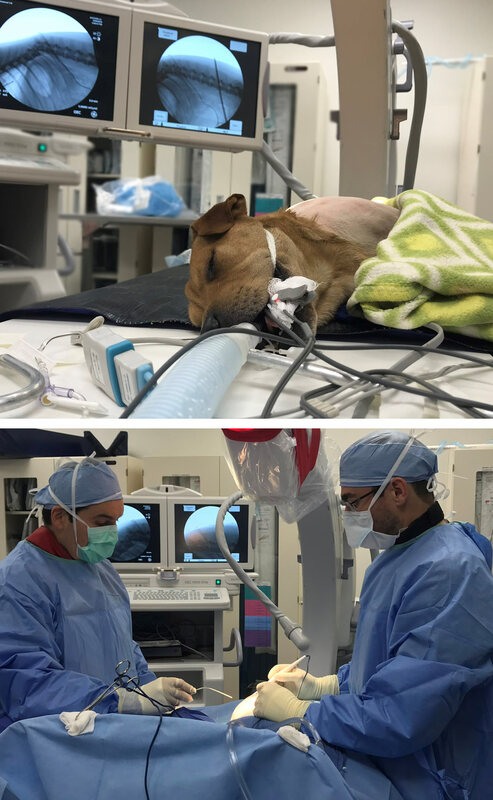 While Milo’s front legs are expected to function as normal, the severity of his injuries will likely render him permanently paralyzed from the waist down. With the help of a wheelchair specially made for dogs, Milo should be able to get around on his own for the first stage of his recovery. We hope to have Milo go home with his family this weekend, and if anyone has information on how he sustained his injuries, they are encouraged to contact the LAPD. Milo is a super sweet eight-month-old Bernese Mountain Dog puppy. He was adopted along with his sister, Luna, and his owners noticed Milo wasn’t as active as she was, even though he seemed like he wanted to play. They then realized he seemed to be in pain when attempting to walk, run, or play. It turns out Milo has severe joint disease — specifically hip and elbow dysplasia. Even though he’s just a baby, he moves as if he is a senior dog with arthritis. 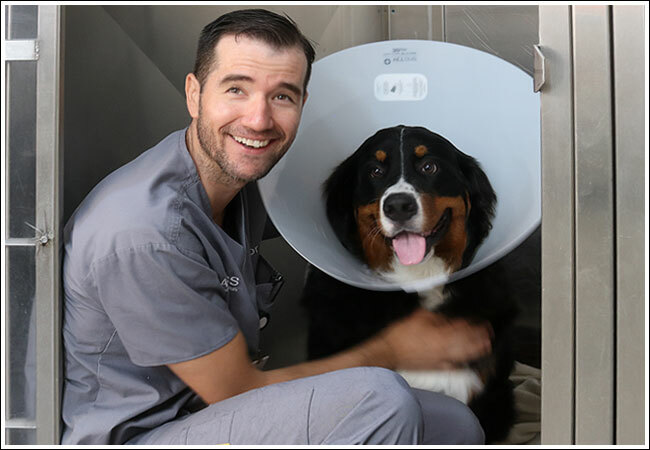 His owners learned Milo would need state-of-the-art arthroscopy and joint replacement surgeries, and came to ACCESS Specialty Animal Hospital to meet Dr. Laurent Guiot in the Bone & Joint Center. Dr. Guiot presented Milo’s family with treatment options and they agreed surgery would be Milo’s best shot at walking, laying, and playing comfortably. Milo had his first procedure recently, on his elbows, and did well! 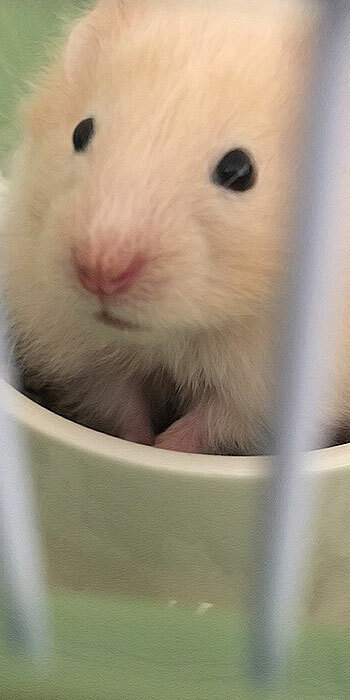 Can’t get enough of this cutie? Stay tuned for updates on his journey! 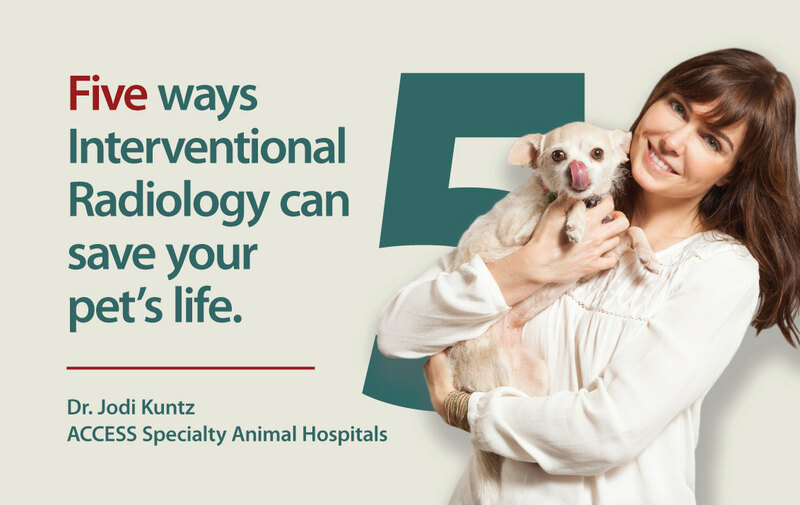 Five ways Interventional Radiology can save your pet’s life. 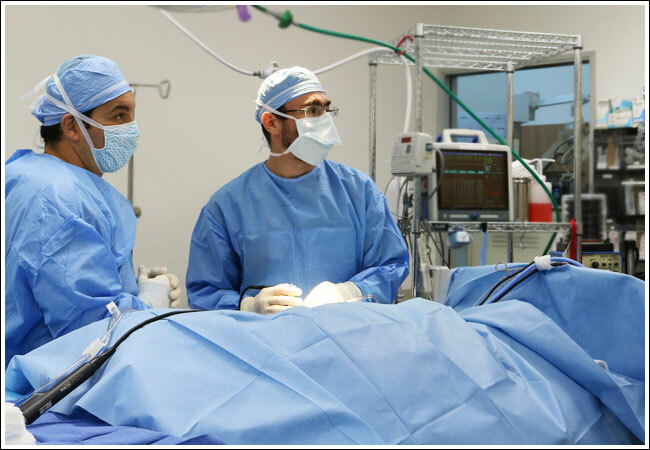 Interventional Radiology (IR) involves the use of an imaging technology called fluoroscopy that allows us to “see” into the body indirectly. With this capability, we’re able to perform diagnostics and treatments by entering the body through natural orifices or blood vessels which eliminates the need for traditional surgery. According to a study published in 2013 ureteral obstructions are currently the #1 cause of acute kidney failure in cats. The ureter is the tiny (under half a millimeter in diameter!) tube that carries urine from the kidney to the bladder. Ureteral obstruction can occur when a kidney stone passing through the ureter gets stuck. This blocks the flow of urine to the bladder which leads to kidney damage and the build-up of uremic toxins in the body–big time bad news. This condition can cause critical illness within hours and requires emergency treatment. Traditional decompressive surgical treatments for this condition had high complication rates – up to 34-60% patients had an unsuccessful outcome with surgery. With newer techniques that utilize Interventional Radiology the success rate increased to 80-95%. 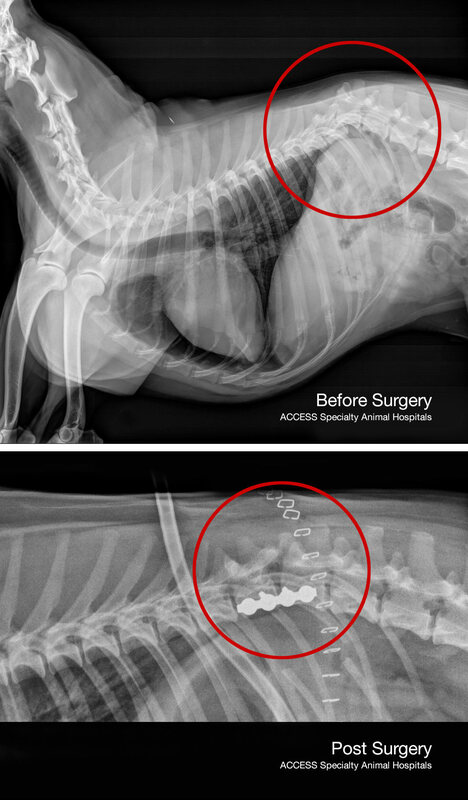 Tracheal collapse is a common problem in small breed dogs that can cause the airway to narrow. This leads to frequent coughing, exercise intolerance, and cyanosis (turning blue from lack of air). Medications can provide effective relief for about 80% of patients. But for those patients with particularly severe forms of the condition, a tracheal stent can help open the airway, allow them to breathe more normally, and improve their quality of life. Tracheal stents can be placed using Interventional Radiology techniques so patients can often go home the same day. The urethra is the tube that carries urine from the bladder out of the body. This tube can become blocked in patients who have tumors in the bladder or the urethra itself. This type of blockage can be extremely uncomfortable and may lead to urinary tract infections, kidney damage, and rupture of the bladder. Urethral stenting can be performed relatively quickly and allows us to open the urethra to allow the patient to urinate. As with tracheal stenting, these patients often go home the same day. Sometimes patients have tumors that are either too big or too close to other vital organs to be removed with surgery. Oral or injectable chemotherapy is generally not very effective for these tumors and exposes the patient to troubling side effects of chemotherapy drugs. In some cases, we can make a very small incision into a blood vessel in the inner thigh and guide a catheter through this blood vessel into the tumor. From there a strong, targeted dose of chemotherapy can be delivered straight to the tumor, followed by an embolization compound to cut off the flow to the tumor. This technique offers a safe treatment for patients that previously had no other options. Portosystemic shunts are congenital abnormalities (aka birth defects) in which major blood vessels to the liver grow around the organ rather than into it. When the abnormal (shunt) vessel is located within the liver lobes, it is called an intrahepatic shunt. When the shunting vessel is located some distance away from the liver, it is called an extrahepatic shunt. Extrahepatic shunts are easily accessed by opening the abdomen, but intrahepatic shunts are much more difficult to access because they are deep within the tissues of the liver. Surgery to fix extrahepatic shunts is very successful, but this is not the case for intrahepatic shunts. Surgery in these cases carries a complication rate of up to 77%, with overall mortality rates as high as 64%. Using Interventional Radiology techniques, the shunt can be accessed through the jugular vein and treated without ever opening the abdomen. The complication rate for this procedure is about 2%, with good long-term success in about 75% of cases. 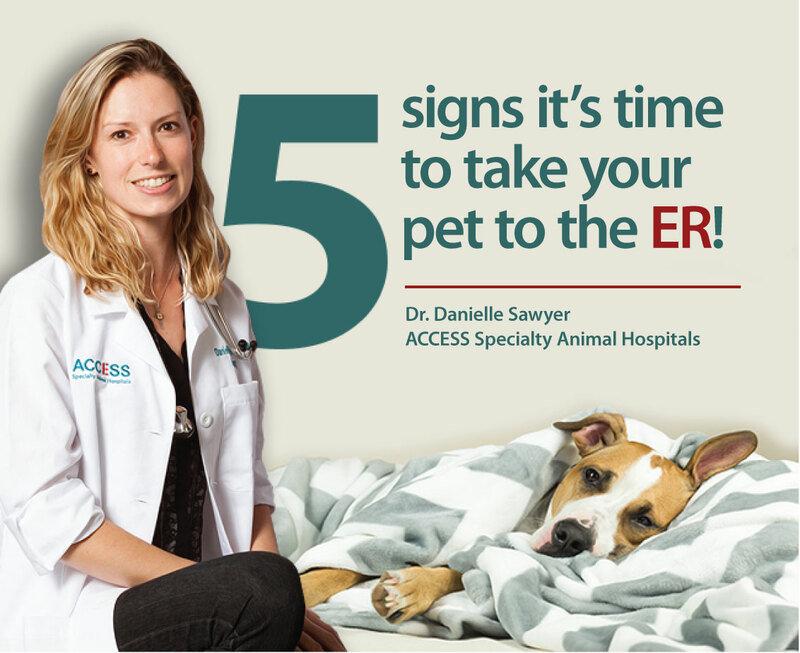 Patients generally stay the night after the procedure and go home the next day with a small bandage on their neck! 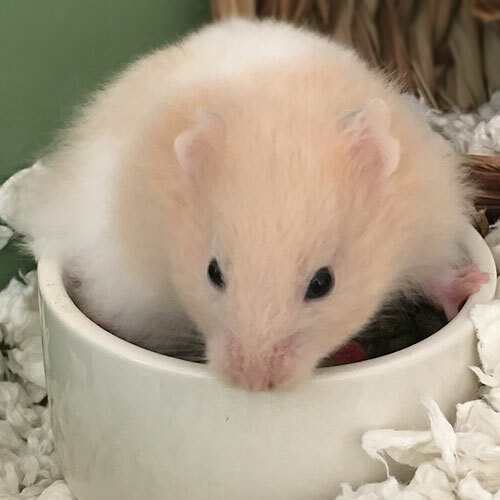 Thomas is a five-month-old Hamster who belongs to one of our Avian & Exotic Pet department team members who drove 80 miles to go rescue him! 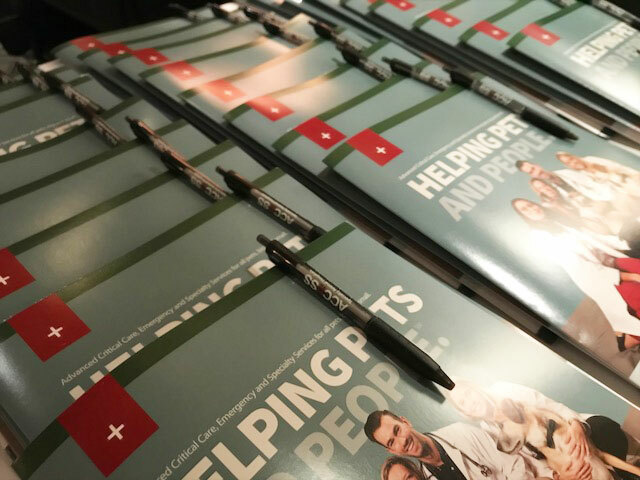 This week, we partnered up with two chapters of the SCVMA to provide continuing education lectures for their members. 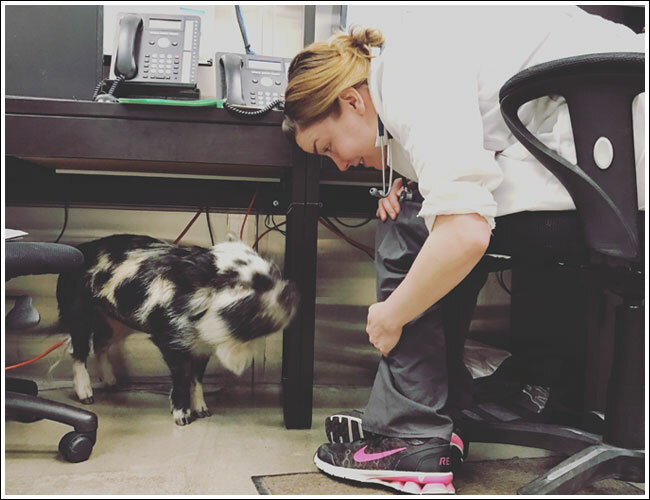 The SCVMA (which stands for Southern California Veterinary Medical Association) is basically a club for those in the veterinary field. Members meet about once a month to have dinner while a guest speaker comes to talk about something pertaining to veterinary medicine and in exchange, attendees get credits they need to maintain their license. Later in the week, we brought Dr. Amelia Sinkin to the 94th Aero Squadron to talk about Pulmonary Hypertension to the San Fernando Valley chapter. 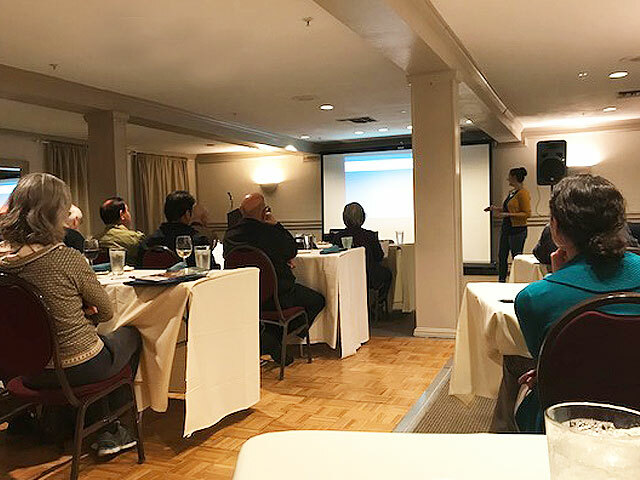 Dr. Sinkin is the newest cardiologist to join our cardio team at the San Fernando Valley hospital, and those in attendance couldn’t stop talking about how great her presentation and lecture style was. We had a great time and we can’t wait to get back out there on the lecture circuit! Millie was giving Dr. Schachterle some design advice for her office! Need an avian and exotics doctor? Call us at 310-558-6100! 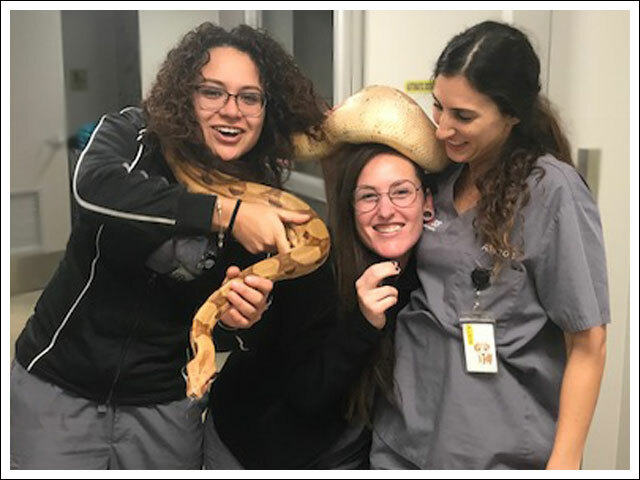 Salmon is a beautiful snake that belongs to one of our Registered Veterinary Technicians, Bonnie! Salmon came in to visit everyone and quickly made friends with our team.